Miami in Florida has a downtown which will take your breath away. DT Miami has an Atlantic Ocean waterfront lined with marinas, off-shore islands both natural and artificial and all backed by architecturally impressive high rise towers plus the odd palm tree or two. While Downtown Miami may be the oldest part of the city and its undisputed historical center, there is nothing antiquated or old-fashioned about it. DT Miami has kept up with times and is a modern, culturally rich neighborhood full of theaters, museums, galleries, event venues and a surplus of world-class bars and restaurants. Whether you’re into watersports, enjoy a boat cruise, or like perusing art exhibitions, you’ll find it in Downtown Miami. Here are fifteen of the best things to do in Miami so you can start making a list while you’re packing your suitcase. You won’t regret it. Morning, afternoon or when the sun is slipping down below the horizon, take a boat cruise in Downtown Miami, and you’ll be in for a real treat. 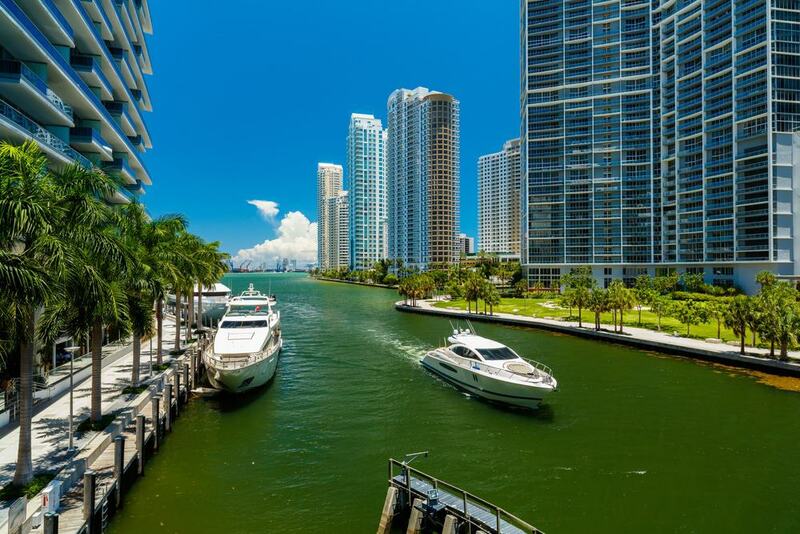 Board a boat at the Downtown docks and sail out over Biscayne Bay or out into the Atlantic for incredible panoramic views of the DT Miami skyline. There are four-hour party boats with drinks and DJ’s, cruises with paddle boarding and kayaking included, more relaxed trips with stops for snorkeling and swimming plus sailings with champagne at sunset. Do one cruise, and you’ll probably do another because it’s just so good being out on the water in Downtown Miami. To find out all about the history of Miami from the first native settlers to the arrival of the Spanish conquistadors through to current times visit the HistoryMiami Museum. 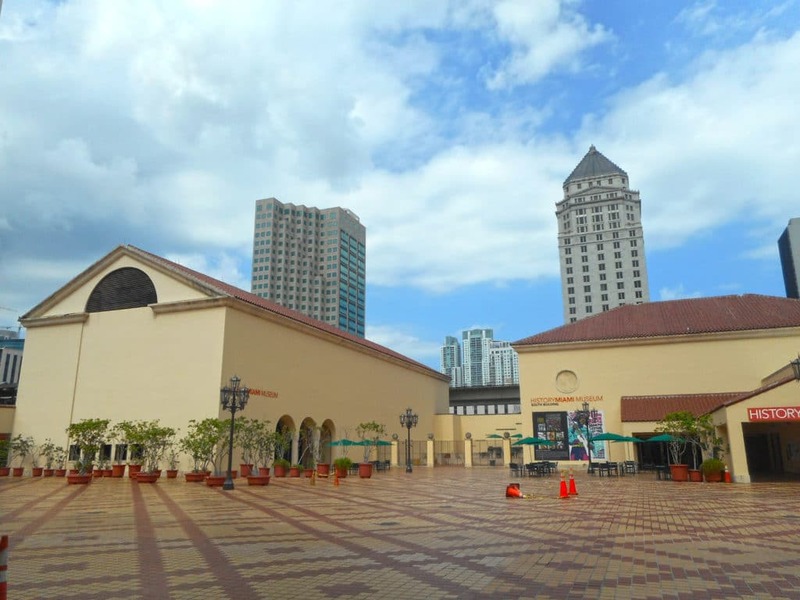 The museum is in the Miami-Dade Cultural Plaza on Downtown’s 1st Street and has over seventy thousand square feet of exhibition space to explore. The collections include over one and a half million photographic images dating from the late 1880’s as well as historical maps, postcards, and manuscripts. Antique furniture, boats, musical instruments, and even aviation related items plus archaeological finds add up to almost forty thousand pieces of Miami history on display. They’re all fascinating. For a spot of scenic shopping and dining drop into the Bayside Marketplace. The shopping complex, on Biscayne Boulevard in Downtown Miami, has views onto a waterfront lined with palm trees and a marina full of boats. The two-story mall is crammed with top-name shops and boutiques selling everything from designer sneakers to souvenirs. For after-dark cocktails or an iced coffee try the open-air 305 Daiquiri Bar or the Dragon’s Breath for the ultimate ice cream experience. Dine at The Knife for some great Argentinian-style steak or grab some grilled fish at Tradewinds. 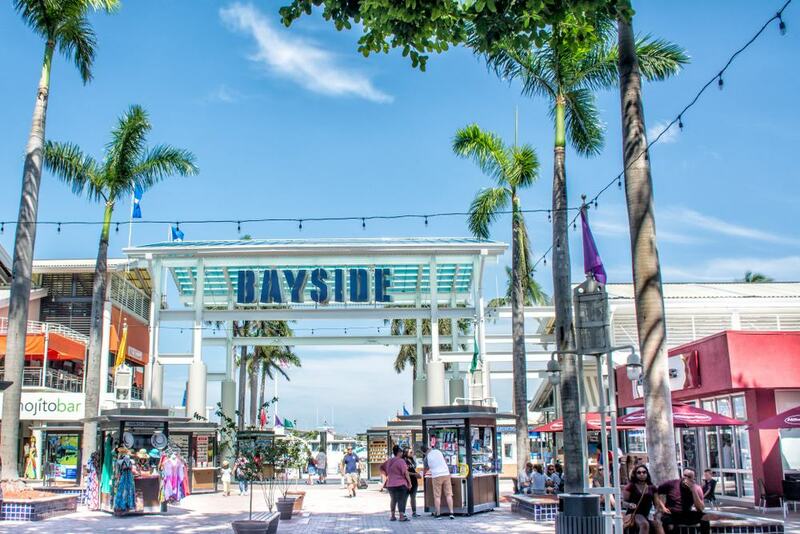 There’s so much going on at the Bayside Marketplace you’ll need to set aside a full day just to fit it all in. For a breath of sea air head down to Hobie Island Beach Park. While it’s not the ideal beach for spreading your towel and sunbathing, it’s a fantastic place to watch windsurfers going through their paces. Want to have a go? You can. There are board rental locations right on the beach or for spectators; there are parasol and chairs available. This is the perfect place to chill out and snap some stunning shots of Downtown’s skyscrapers across the bay. Cross the Rickenbacker Causeway from Downtown Miami heading for Virginia Key and jump aboard a seaplane for an exciting thirty-minute flight along the coastline. 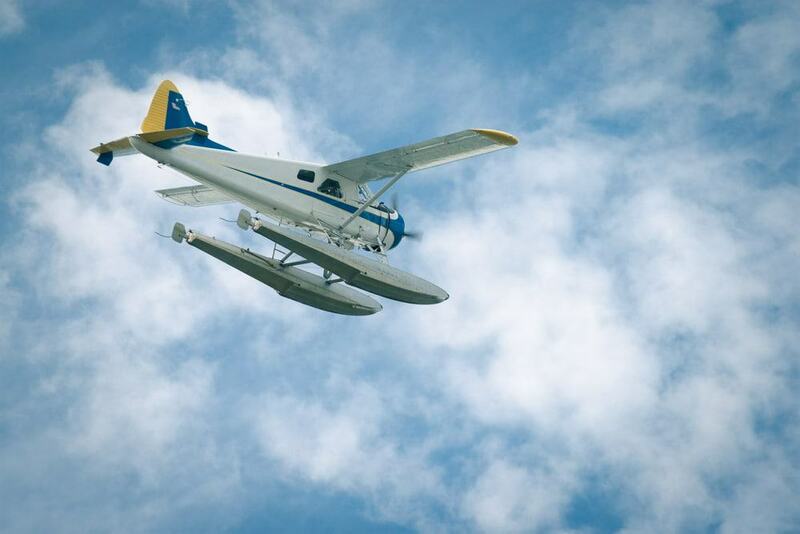 Take off from the water and soar into the air as the plane makes its way first down to Coconut Grove, then back past Downtown Miami and does a circuit around Dodge Island. There is no better way to see the DT Miami skyline than from an aerial view. It’s just awesome. Food in Downtown Miami has a distinct Hispanic flavor. This gastronomic influence has evolved due to the migration of people from countries such as Cuba and Peru who have settled in the district. It’s impossible to be in Downtown Miami and not taste some of this flavorsome cuisine. One of the best restaurants to go to is CVI.CHE 105 on NE 3rd Avenue. It’s a bright and modern establishment which serves traditional Peruvian and Inca inspired dishes. Don’t miss the mixed ceviche, a classic combination of raw seafood cured with lime juice and topped with fresh cilantro or their pan-roasted Corvina with crabmeat. You’ll have a hard time deciding what to eat at CVI.CHE 105 because everything on the menu is divine. 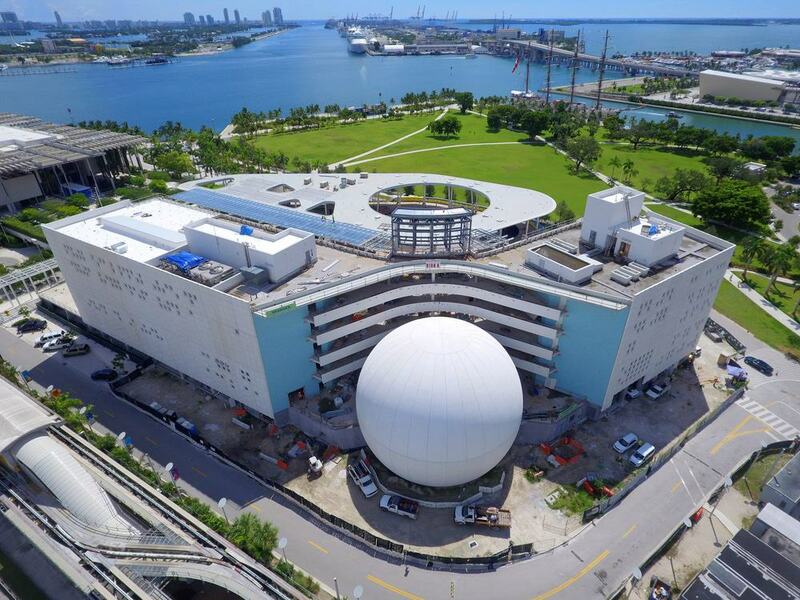 The imposing structure of the Philip & Patricia Frost Museum of Science is located in Downtown Miami’s Museum Park. The museum has four separate buildings, one of which is spherical, all surrounded by extensive lawns and facing the bay. The sphere houses the museum’s two hundred and fifty seat planetarium which has enough high tech to launch a rocket, three-hundred and sixty-degree viewing and even tilts to give spectators the sensation of flying through space. In the Batchelor Foundation Gallery discover everything about flight from prehistoric times to modern space missions. The left wing of the museum is dedicated to the life and works of DaVinci while the MeLab allows exploration of the way our minds and bodies work together. Interesting. Hit the waters of Biscayne Bay on a Yamaha VS Deluxe jet ski. 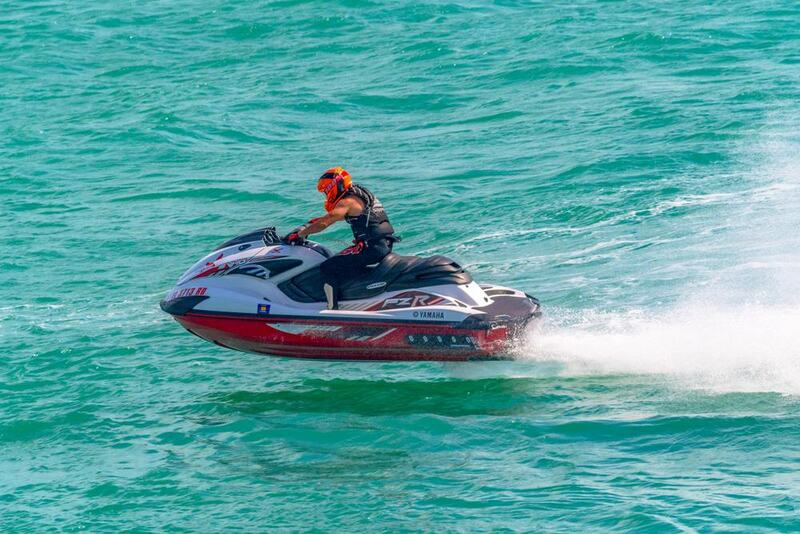 Pick one up from nearby the Bayside Marketplace at the Bayside Marina on Pier 5, don your life jacket and prepare for a mega adrenaline thrill. After being accompanied to the designated ride zone, you can spend the next sixty minutes twisting the throttle to your heart’s content while skimming across the bay and leaving a trailing wake behind you. Believe it; the Downtown Miami skyline will blur in a mist of sea spray. 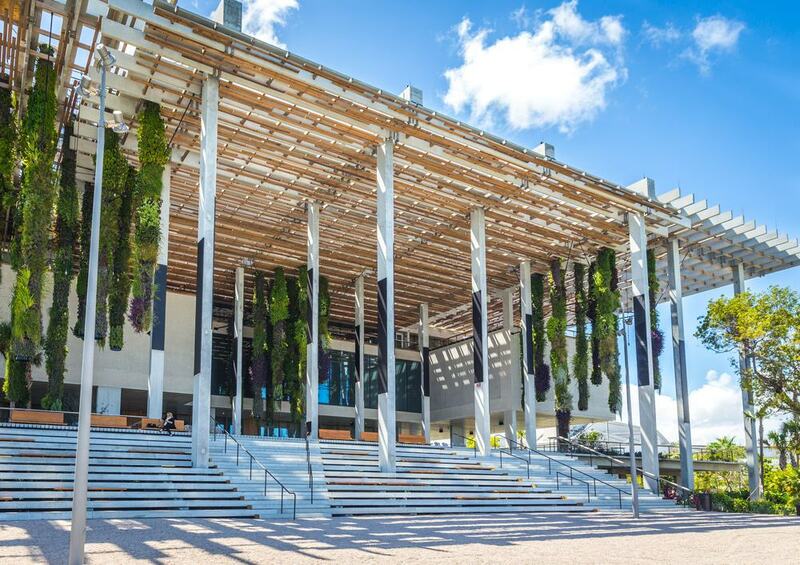 The Perez Art Museum, in Downtown Miami’s Museum Park, is a three-story building surrounded by water and beautifully landscaped gardens. Exhibiting contemporary and experiential art, the museum building itself is worthy of being called an artwork. Raised on a platform, with enormous, airy verandahs the museum has over one-hundred and twenty thousand square feet of exhibition space. As well as housing interesting works from famous artists like Picasso, the PAMM’s stunning location makes it perfect as an event venue. Live music nights, Poplife Social, are held on the third Thursday of every month and start with drinks on happy hour. Now that’s a museum worth putting on your list of places to visit. The Shops At Mary Brickell Village is a two block long shopping mall and entertainment center on South Miami Avenue in the Brickell neighborhood of Downtown Miami. 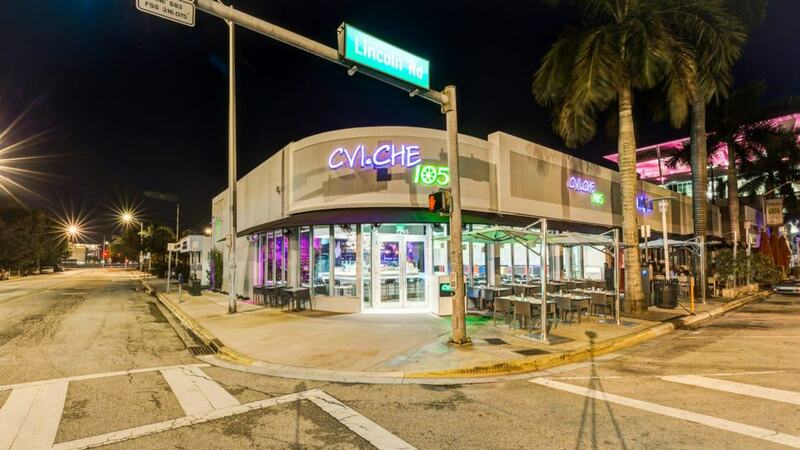 The Village has a well-deserved reputation for being the fun and sophisticated place to shop and eat in DT Miami. Big name brand shops, bars, and cafes with terraces and restaurant serving a range of food covering every cuisine under the sun. 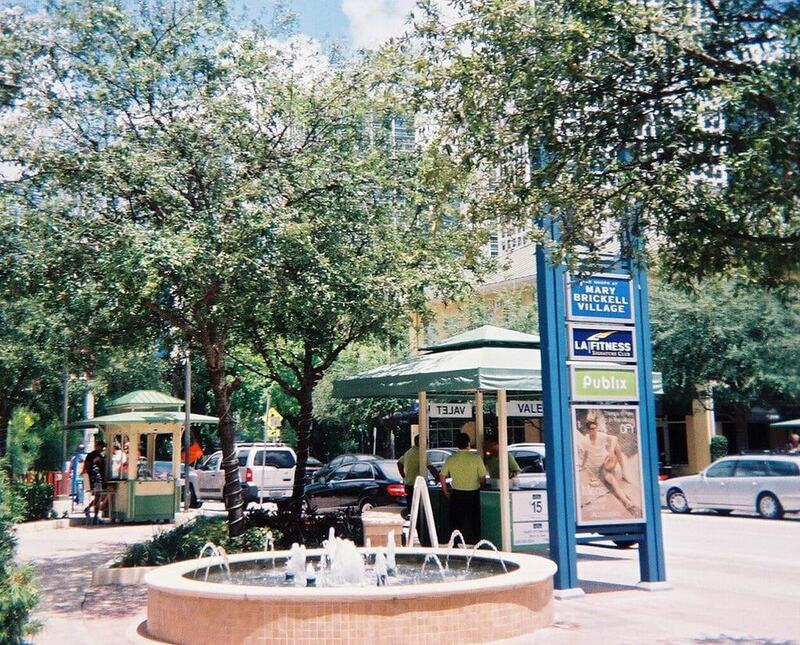 If you like being around the in-crowd, then Mary Brickell Village is the place for you. 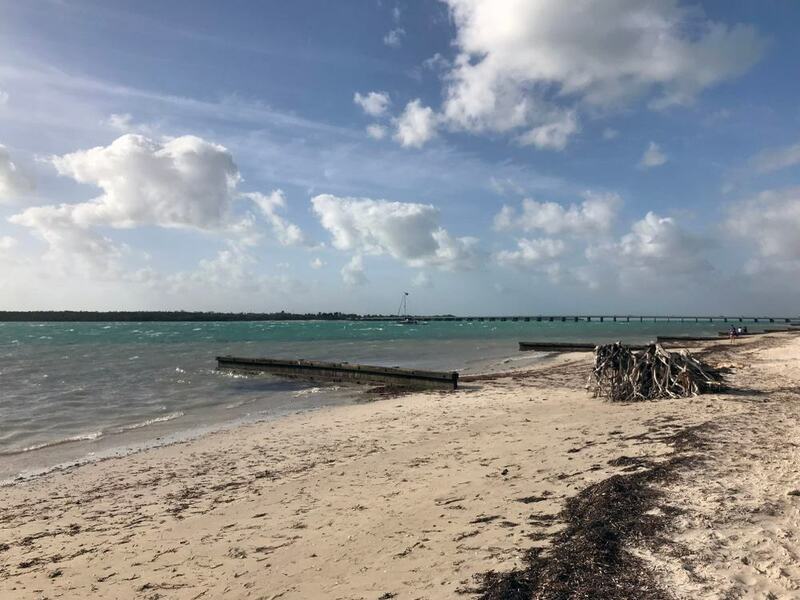 Drive over the Rickenbacker Causeway to the Historic Virginia Keys Beach Park and while you’re still in DT Miami, it’ll feel like another world. At the park, stroll along coastal nature trails, along the boardwalk or just relax on the mile long beach studded with palm trees. It’s like being in a Caribbean paradise. It’s one of the most romantic and scenic spots in Downtown Miami to watch the sunrise. 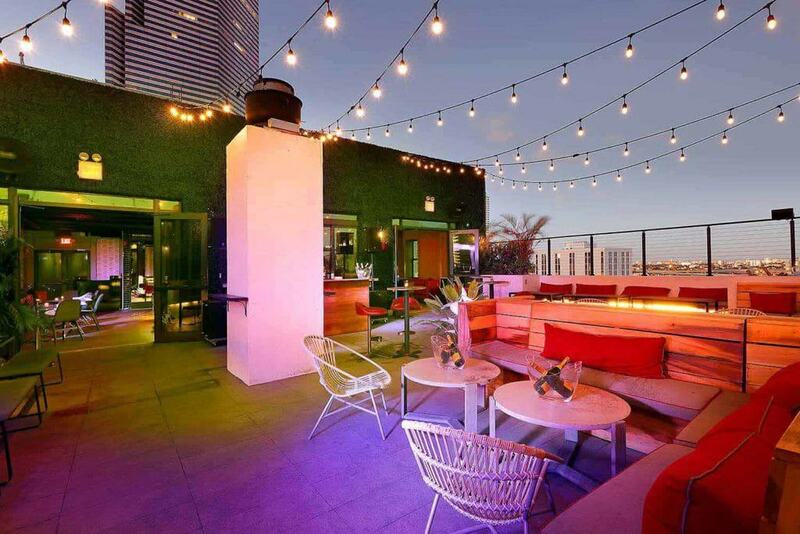 The Bloom Skybar is an ultra-modern and colorfully furnished rooftop bar at the Langford Hotel on 1st Street. It is DT Miami’s only skybar. Sip on classy cocktails like Mimosa’s with floating flower included or get a kick from a Miami Mule as the sun goes down and watch the skyline of Downtown light up. There are lively weekend nights with resident DJ’s, brunch on Sundays and happy hour every day. The nighttime views of Downtown Miami from the Bloom Skybar are incomparable. 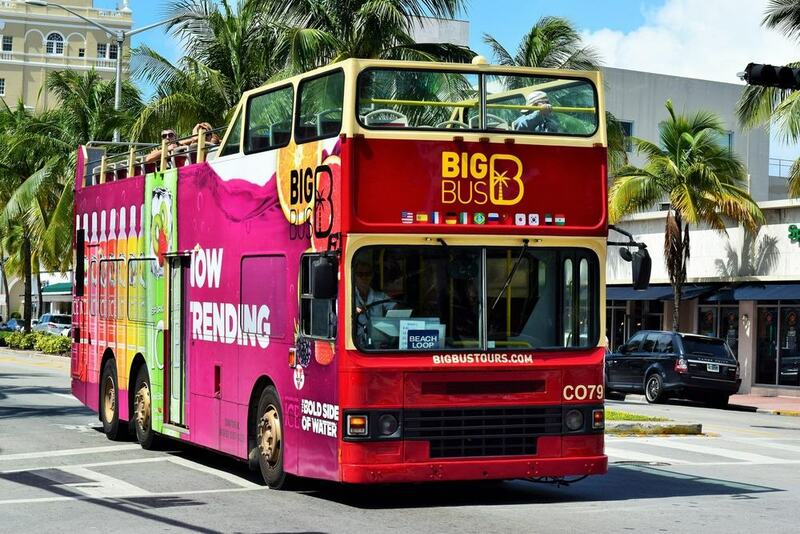 Get around Downtown Miami on the hop-on-hop-off double-decker, open-topped BigBus. It’s a fun way to see the DT sights. Take the city route number three, and it’ll take you past Freedom Tower, Museum Park, before looping back by the HistoryMiami Museum and diverting off to Coconut Grove. The buses run at forty minute intervals so you can jump off, visit an attraction then get back on when you’re ready. The Flamingo Theater Bar is a plush VIP theater at the Four Ambassadors Hotel on DT’s Brickell Bay Drive. The old-world décor, complete with studded leather sound booth and pink flocked wallpaper behind the bar, gives the theater a nineteen seventies atmosphere. 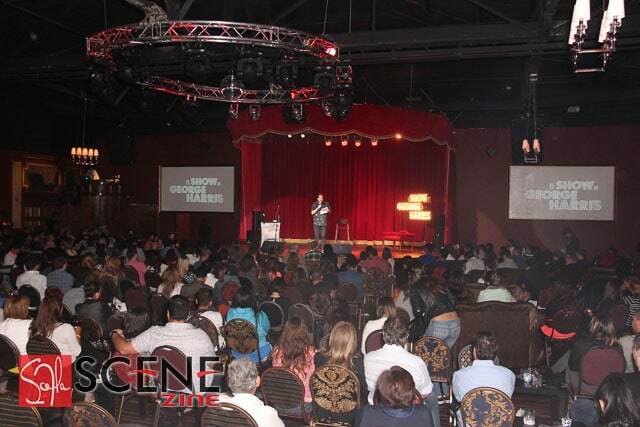 The theater hosts intimate performances from top stand-up comedians and popular Latin artists. Head to the Virginia Key Outdoor Center for some fantastic sporting experiences. At the center, you can hike, paddle, fish, kayak or canoe and cycle too. The center offers classes on paddle yoga and full moon or sunset paddles for beginners. 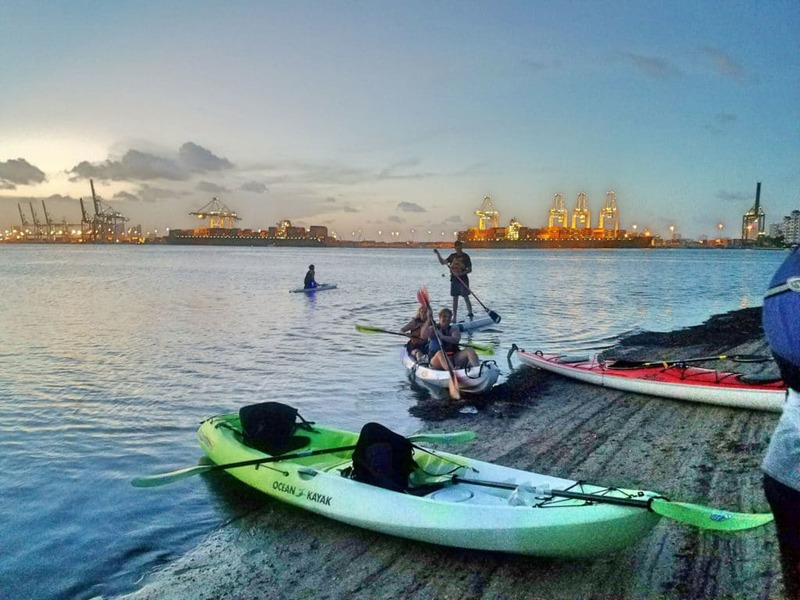 If your visit to DT Miami falls between June and October, don’t miss the Bioluminescent Paddle when you can slip through water full of glowing plankton. If you prefer dry land to being on the water, hike some of the nature trails, the dune or beach walk or go bird spotting on the coastal Hammock trail. The center’s activities are as diverse as Downtown Miami itself. Have fun.